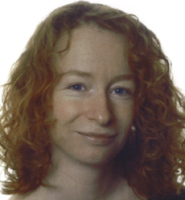 Marleen de Bruijne is associate professor of medical image analysis at Erasmus MC - University Medical Center Rotterdam, The Netherlands, and at University of Copenhagen, Denmark. She received an MSc degree in physics (1997) and a PhD degree in medical imaging (2003) both from Utrecht University, The Netherlands. From 2003 to 2006 she was assistant professor and later associate professor at the IT University of Copenhagen, Denmark. Dr de Bruijne has (co-)authored over 100 peer-reviewed full papers in international conferences and journals. She has been a member of the program committee of many international conferences in medical imaging and computer vision, associate editor for Image and Vision Computing and Medical Physics, and is a member of the editorial board of Medical Image Analysis. Her research interests are model based and quantitative analysis of medical images with applications a.o. in pulmonary imaging, neuro imaging, and cardiovascular imaging.